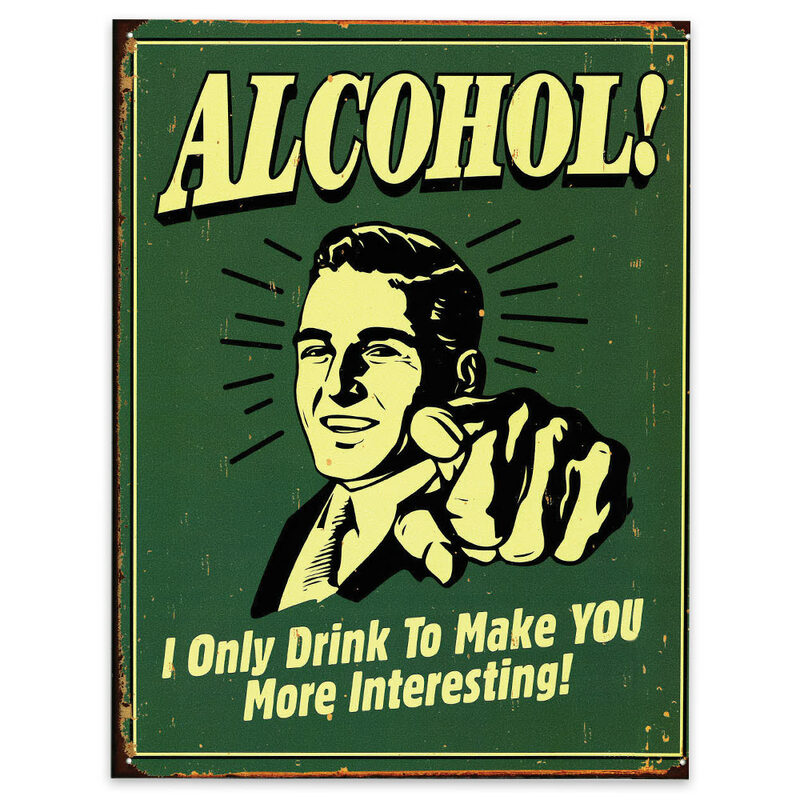 Alcohol You’re Interesting Tin Sign | BUDK.com - Knives & Swords At The Lowest Prices! The vintage look of this tin sign and its fun message, “I Only Drink to Make You More Interesting,” make it a great conversation piece so that it’s a great addition for your home, office or pub. Made of high quality materials and with a flawless design, the sign is made in the USA.